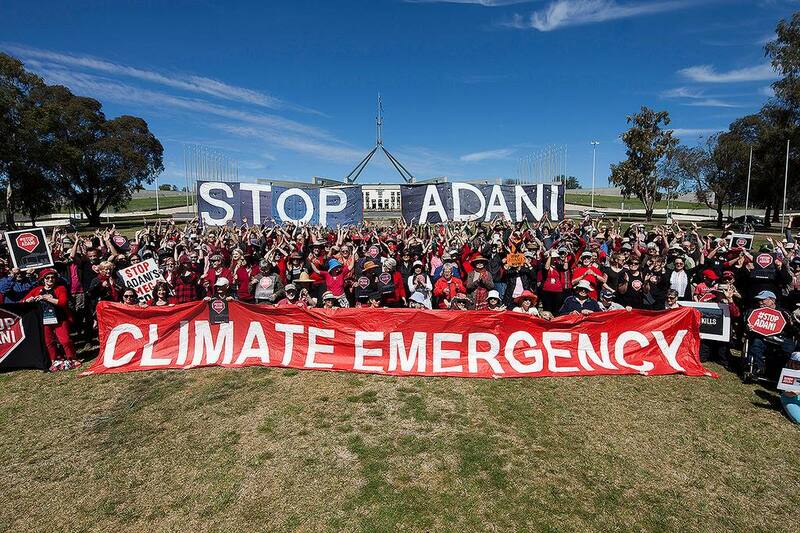 On the first day of Parliament for 2018, let’s turn up in force to show our politicians that the community is ready to ramp up national pressure to make sure Adani’s mega coal mine is stopped once and for all! Adani has taken some big blows – the $1 billion taxpayer loan is out, 28 global banks have said no, major partner Downer is gone. But this company is determined and will stop at nothing to forge ahead with the mega coal mine. In 2018 we must turn up the heat on our Federal politicians to stop the mine and get on with the important job of moving Australian beyond coal. Let’s make sure they see our movement, hear our demands and feel our power from the first moment the Parliament sits! Invite your friends and bring your StopAdani signs and tshirts.